A top manager with 25 years of banking and microfinance experience in Central Asia, Eastern and Central Europe, Latin America and Africa. He chaired Boards of Directors of seven banks and microfinance companies in different countries. Prior to being elected Chairman of the Board of Directors of Bai-Tushum Bank, he held a position of a member of the Board and Chairman of Audit committee of the Bank for more than a year. Formerly, a Vice-President and Regional Director for Latin America with FINCA International. 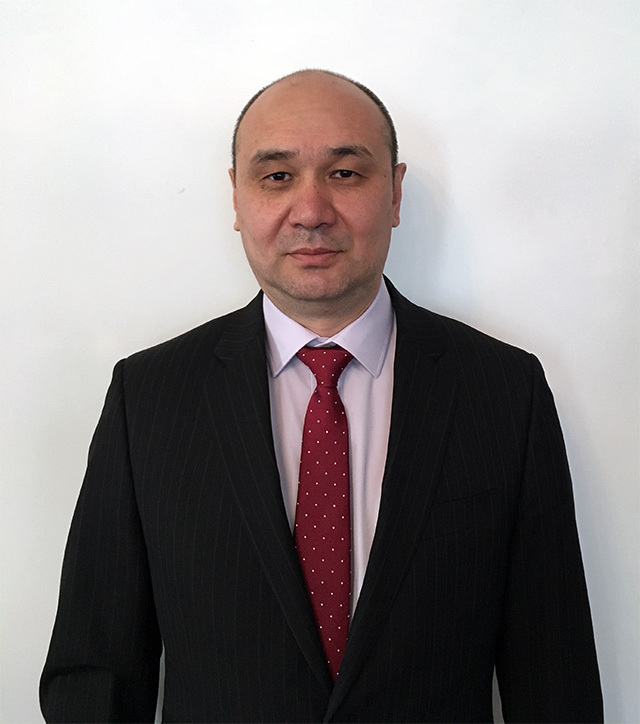 Previously he has been a CEO of FINCA Microcredit Company in Kyrgyzstan (now FINCA Bank Kyrgyzstan), and in parallel, during six months he was acting CEO of FINCA Microdeposit Organization in Tajikistan, also has been CEO of FINCA Microcredit company in Kosovo. 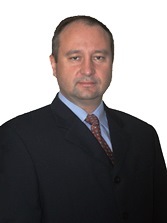 He has a PhD in Economics from the National Academy of Sciences of Ukraine, and MBA from the Indiana University in USA. He is the author of seven publications in the field of economics and finance. Lida has more than 15 years working experience in Microfinance and Banking including 10 years in management, among which five years on top management positions in banks. She was responsible for different areas of operations such as credit, savings, branch network development and finance. Before being elected a member of the Board of Directors in Bai-Tushum Bank CJSC, she worked as a Senior Investment Officer/Regional manager for Caucasus and Central Asia at Triple Jump BV, Netherlands. Lida worked as a Senior Consultant for number of MFIs and Banks in Eastern Europe and CIS providing advisory services in different areas with special focus on lending operations. 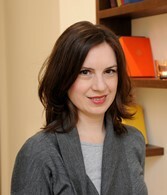 Formerly Lida worked for 10 years in management team in ProCredit Banks in Georgia and Moldova. She has extensive experience in business and credit analysis, due diligences in the microfinance sector, setting up and improving internal control systems, capacity building and product development. Independent consultant representing ResponsAbility Social Investments AG (Switzerland) and Practice Leader Risk Management at Frankfurt School of Finance & Management (Germany). Joachim is an expert in Treasury, Credit and Operational Risk in emerging / developing markets. Since 2001, he has built up an extensive track record with microfinance institutions, banks and microfinance investment funds in more than 30 countries. Joachim started his career in 1990 in the International Banking Division of Commerzbank AG, Frankfurt. In 1995 he accepted an international faculty appointment at Oregon State University in Corvallis. From 1999 to 2004, he worked for Deutsche Börse Systems, the IT division of the German stock exchange and international derivatives markets operator. From 2001 to 2004, he served as Vice President of the Deutsche Börse US subsidiary in Chicago. 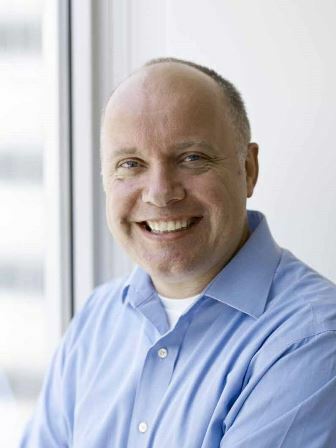 Joachim holds a German MBA (Dipl.-Kfm), a doctorate in economics and is also a US Certified Management Accountant. Joachim is fluent in English, French, German and Russian. Senior Risk Manager, Expert Advisor and Consultant in the area of Risk Management, Treasury, and Efficiency Management for banks, funds, and MFIs. He is the Risk and Compliance Manager of Bamboo Finance, a Geneva based Private Equity Fund for impact investments with global presence. Christian has over 25 years of experience in banking and has worked in several large international banks, primarily in the areas or Risk Management, Treasury, Credit Portfolio Management, and Investment Management in various locations. Between 1991 and 2005 he worked for Deutsche Bank where, among others, he was the Deputy Treasurer of Deutsche Bank in Spain, headed the Deal Management Team of the Bank’s Loan Portfolio Management Group and worked as an Assistant to the Management Board. At WestLB, he headed the Investment Management Team in the US and managed the Work-Out and Restructuring practice. Christian is the founder and president of Proyecto Horizonte, a community development program in Bolivia, which serves over 800 children and their families with programs in education, health care and community services since 2004. He graduated from Hochschule für Bankwirtschaft in Frankfurt, Germany with a Diploma in Banking and Finance is also a Chartered Financial Analyst (CFA) and a Financial Risk Manager (FRM). Highly qualified lawyer. He has extensive experience working with small and medium-sized businesses, financial institutions, government and non-governmental organizations. He is currently Chairman of the Board of the Center for Political and Legal Studies. He graduated from the Kyrgyz National University with a degree in jurisprudence. He received a Master of Law degree (LLM) from Washington College of Law, American University (USA). Candidate of Juridical Sciences.